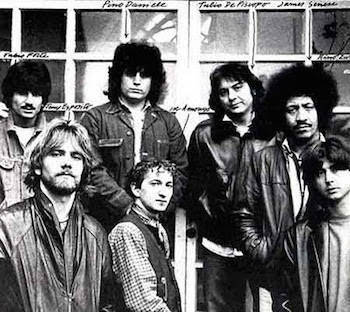 When Pino Daniele died of a heart attack two years ago, several precious links of cultural history were snapped. There was the link between contemporary music in Italy and the tradition of the canzone napoletana; the link between that tradition and the world- wide Neapolitan diaspora; the link between Neapolitan music and the Mediterranean shore; the link between that tradition and world music generally. In 1977, at age 22, he released Terra mia. Critics and the public both recognized a new talent, one skillful at seamlessly and fruitfully synthesizing various genres of music. Just three years later the album Nero a metà combined African-American blues, rock, and Neapolitan music to great effect. The album (“Half-Black”) was dedicated to musician Mario Musella whose mother was Neapolitan and whose father was a Native American GI soldier stationed in Naples during WWII. Playing saxophone on the album was James Senese, himself the son of a Neapolitan mother and African American GI. In an interview on RAI, Pino described the album as “alla ricerca di un’identità quasi svanita” (In search of an almost vanished identity). Accompanied by extraordinary musicians, he resurrected that glorious tradition. 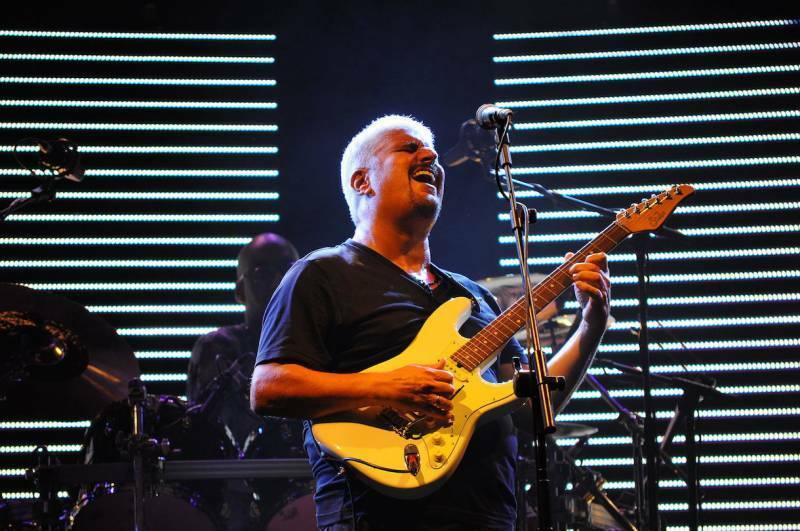 In 2012 Pino Daniele released his last album La Grande Madre. 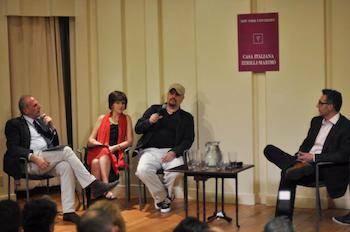 When in June of that year Daniele spoke at NYU’s Casa Italiana with Director Stefano Albertini, Letizia Airos and John Turturro, the audience marveled at the creative sparks—almost like static electricity— that crackled between the two artists. They had never met until then but Turturro had closed his paean to the canzone Napoletana with Daniele’s extraordinarily poignant and poetic “Napul’è” from his rst album in 1977 (see the box below). The song has been adopted and embraced by many as an unof cial anthem of a wounded but resilient city. After Pino’s death, president of Napoli soccer team Aurelio De Laurentiis, decreed that “Napule è” would be played at the end of all home games. Watching from New York, the sounds and sights from the San Paolo stadium were moving and emotional. Watching a game at Ribalta on East 12th Street or Luzzo’s on First Ave. In those first weeks after his death, one noticed tears streaming down the faces of patrons as Pino’s voice came to us from far-off Naples. That lament, full of longing and loss, but with a icker of hope, echoes with us still.